i think roasting pumpkin seeds is an equally important halloween tradition as pumpkin carving. i mean, the two pretty much go hand in hand since you have to scoop out the pumpkin guts anyways before carving. judging by the big smile on my face this is my favourite part. our pumpkin was inspired by the movie the nightmare before christmas, which i just recently watched on netflix. 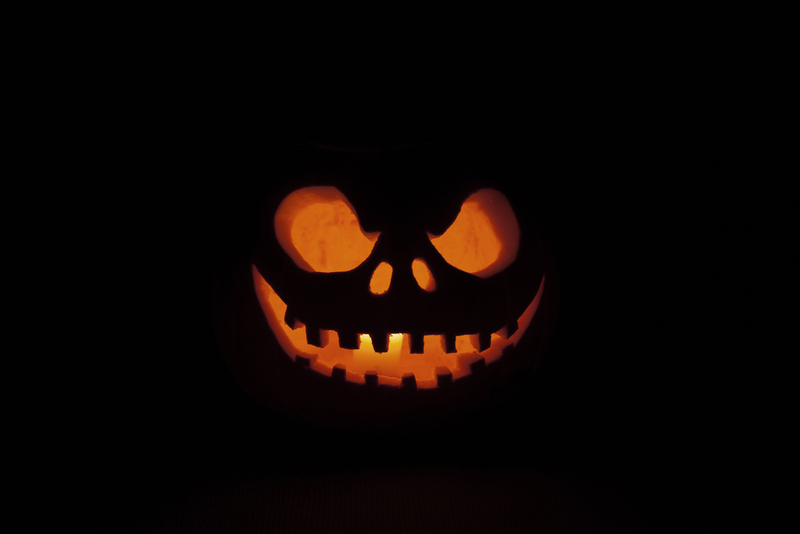 it was also inspired by the pumpkin we carved a couple years ago, but instead we carved a happy faced jack skellington. this year we went full halloween & gave jack an evil smile. when lit up (see last photo) he looks pretttttty spooky. 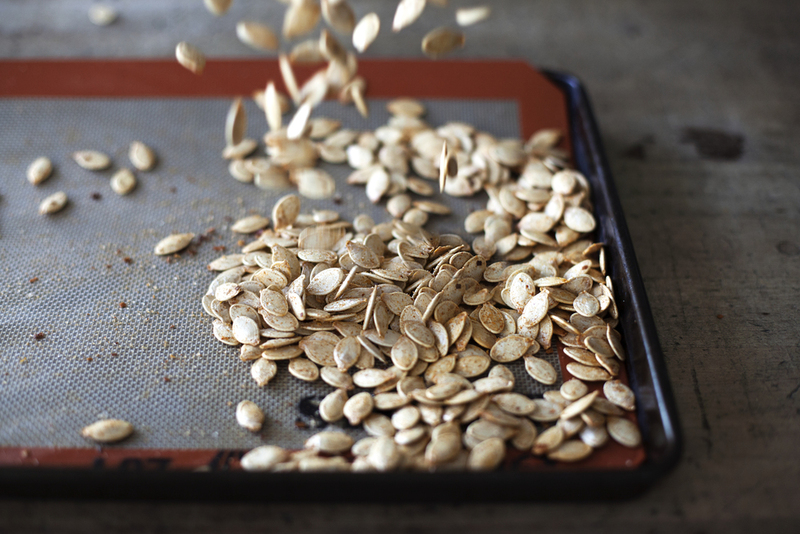 the pumpkin seed recipe below is for spicy roasted pumpkin seeds, something a little different from all the sweet stuff i tend to make. i figured halloween comes with enough sugary treats, so why not kick it up a bit with some spice! 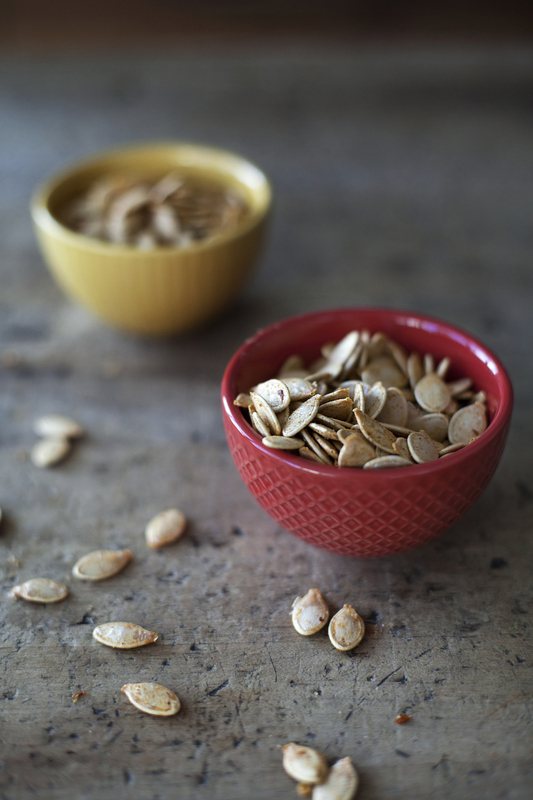 in a mixing bowl toss pumpkin seeds with butter, chili flakes, garlic salt, paprika, cayenne pepper & salt.